Otitis media or otitis is one of the most common childhood diseases. Ear aches, fever until fever and usually leads to visit the emergency room (because it breaks out mostly at night, and its progress is very fast). To understand the origin of otitis media, and the reason why the incidence is significantly higher in children than in adults, it is advisable to learn about the construction of the ear. The outer ear (pinna) goes into the “hole”, which is called the outer ear canal. External auditory canal leads to the eardrum – counter formed membrane. Behind him begins another area –middle ear – in which we find bones system (1.kůstka – anvil – urged the drum and bone, the second – a hammer – a hammer bone, urges the third – stapes – and it urges the beginning of theinner ear – the oval window). Oval window (also in membranous septum) separating the middle ear from the inner ear – it occurs to register sounds nerve cells and transfer these impulses to the brain. From the space of the middle ear (behind the cylinder) also leads the Eustachian tube, which is a tube that connects the middle ear with the nasopharynx (nasal rear space, back up in the throat).The function of this tube is very important, because it equalizes pressure between the cavity of the middle ear and nasopharynx (yawning or Valsalva maneuver – a painstaking attempt to exhale with your mouth closed and zacpaným nose – when you lay on your ear causes opening just Eustachian tube) and also removes any unwanted fluid from the middle ear (as to correctly convert audio bones from the eardrum to the inner ear is required to round bones – the middle ear – the air, rather than liquid). Otitis media is usually followed by upper respiratory tract infection (common cold ..). There is to spread the infection through the Eustachian tube into the middle ear cavity. In children it is more often because their tube is shorter with a larger lumen and is less folded toward the nasopharynx – route for infection is in the direction of the middle just slightly uphill (about 10 °), whereas in adults must overcome the tendency of the (i 45 °). Eustachian tube also contributes otitis that if tapered (e.g. due to enlarged adenoids that her urges) the middle ear is not sufficiently ventilated, formed therein a vacuum, there is an accumulation of fluid in which easily attaches bacterial infection. We differ basically according to the course of the two kinds of inflammation, and acute and chronic inflammation. The main risk factor (rather cause) for the diseases of otitis media are respiratory tract infections– especially when there is inadequate mucus discharge from the nose. The big risk for the disease otitis media is also a children’s age (increased risk stems from anatomical differences Eustachian tube adult and child – see above). Middle ear infections also frequently annoy patients with cleft defects. For this disease, it further applies that the earlier the first inflammation occurs, it is likely to be more frequent in patients in the future. 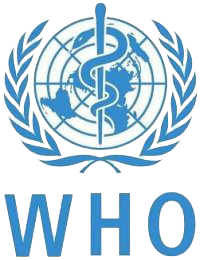 The emergence of the disease is also related with theseasons – recording his winter weather, large temperature changes .. The risk also increases a child’s stay in collective institutions (kindergarten ..). For prevention of diseases, it is appropriate as long breastfeeding, hardening, in the case of rhinitis thorough sneezing (in younger children suction effective aspirator) vykapávání nose, or by nasal spray, in individuals with enlarged adenoids which causes recurrent middle ear infections, may doctor to recommend its removal. 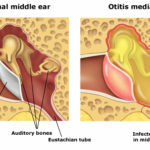 Acute otitis media usually breaks out during the patient’s disease upper respiratory tract infections (viral origin – fever, flu ..), most often at night (recumbency helps transfer infection Eustachian tube to the middle ear). 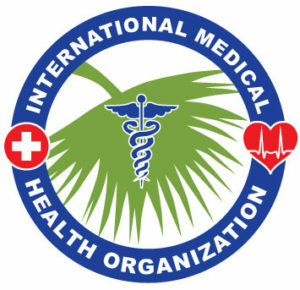 For the typical symptoms of sudden onset and rapid (ear pain, discharge from the ear, fever, vomiting, diarrhea ..). Inflammation is usually reversible, but the degree of inflammation may differ in each ear (often happens that one night the patient visits the emergency room with one ear, and the next night with another). Patients describe the sensation zalehlého ear, later throbbing pain in the ear. Small children are manifested pained cries and extend your ear. Pain grows. Sometimes there is a spontaneous rupture of the eardrum before visiting the doctor, sometimes punctured eardrum doctor. Eardrum perforation occurs almost immediate relief from pain. Chronic form differs from acute absence of fever and temperatures, usually not painful .. Manifested burning, or itching in the ear, patients experience lay on the ear, cracking and pressure in the ear, noise, reinforced the perception of own voice ..
Paediatric patients with chronic forms of otitis media are often erroneously referred to as inattentive, disobedient .. which is not caused by their hearing loss, which causes chronic inflammation. It can occur different kind of secretion. Treatment of the disease is primarily focused on relieving pain, reduce inflammation andprevention of recurrent inflammation. Repeated inflammation in case of this disease is very frequent, since disturbed middle ear mucosa is more vulnerable to further inflammation, which may have the same reason, more severe with more complications. In worse cases in a row may be untreated or complicated inflammation cause permanent hearing damage that leads children to a deterioration of the overall development.Therefore, it is necessary to take this disease seriously and ensure the thorough after-treatment (common mistake is nedobrání antibiotics if symptoms disappear inflammation, antibiotics are not necessary to enjoy a few days later). Painkillers when otitis commonly recommended medication – active substance ibuprofen, paracetamol.. (Which are also produced in forms suitable for children – syrups, suppositories). Inflammation is removed by puncturing the eardrum (paracentesis). This procedure is unpleasant, yet there is immediate pain relief. Doctor aspirated secretions dripping rinsed ear, and if purulent – bacterial, prescribe antibiotics. You also need to keep the canal clean (a few days it can drain secretions that needs reconstituting a leach) – recommended procedure is to instill in the ear pine water, after a while you substantiate affected ear clean handkerchief and lie down on it, the water and the secretions He spilled. For successful treatment must also be consistent blowing their nose (nasal cavity should be kept clear), it is appropriate to use nose drops (reduces swelling of the lining, thus the mucosa of the eustachian tube). When ear pain can help to relieve inflammation application of cold compresses for the ear drainage of secretions from the middle ear Eustachian tube help out elevated position of the head while sleeping. Grannies recipe – inserting a garlic clove into your ear – not recommended for professionals too (probably not penetrate the effects of garlic per drum, threatening complications vyndáváním clove, possible burns canal ..). The main complication of otitis media is to move into the chronic stage – it is best to avoid thorough sequential therapy of inflammation (reveal its prescribed antibiotics), frequent sniff (always only one nostril! Otherwise increases the likelihood of displacement of rhinitis into the cavities ..) and the hygiene of the ear. Another unpleasant or even dangerous complication is inflammation of the expansion (usually into the air sacs of the salient temporal bone – called. Mastoiditis), which can go up to the inflammation of the meninges. As it passes near the middle facial nerve may cause its paralysis(usually temporary). Some patients long after the cure inflammation complain lay on the ear (this is due to the fact that the mucosa may take months before returning to its original state).